i have 2 pair and still working but the battery is out. a very good phone on that time. One of the best Nokia phones ever made. A path-breaking model, probably the first WAP phone around. Was THE phone to be seen with in 99-00. I still have mine and it works fine a decade later. I just found a Nokia 7110 in a rubbish bag and I am amazed because it is brand new, barely used, it's made in Finland, no scratches on the screen, like it just come out of the factory. It is absolutely amazing!!! I am charging it for the first time and it's working perfectly! I bought this phone in 2000 and is still working fine. At the time this phone had one of the largest clearest displays. The microphone was connected via terminals gold plated terminals withing a sliding plastic moth piece. This made it possible for any dirt on the 2 tracks to disconnect your outgoing audio. You really had to look after this phone well,it had a rolling clickable bar in center that you would navigate menus with. Two people could even play a game via ir on it. It was featured on a blockbusting film and rushed out - some 7110's work better now! years later after proper attention to the sliding mic mechanism. izit this phone still in market. My Best friend Still uses this fone in their house, like a family fone, and i can't believe it still works.. the fone looks like it was sooo ready to die. He wrap it up with Rubber bands to prevent the fone from falling apart, some series of masking tapes and some inserts of paper.. if you know what i mean.. the line of the fone is SUN cellular, I call him and we talk over the line for hours. and that fone is what he use. wow. phones like this one, reliable and well-crafted. got 2 unlocked 7110 nokias and 2 900gsm 8110i matrix fones , style icons that still turn heads especially the spring loaded slider on the 7110 shame the 8110i never had the spring (special effects made a one off for The Matrix part 1) so cool Nokia made the 7110 to mimick it but more features, batteries are so cheap on ebay for 7110 and Amazon for 8110, i use mine daily and the auto flip Ericsson T28. sweet. 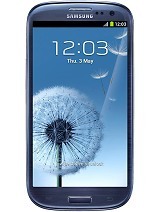 I purchased this phone when it was the hottest thing on the market for around 120 GBP + 12 Month contract + 110 insurance. Expensive? NO! It lasted 4 years till 2003ish, nothing has come close. So I just bought it again from ebay. You wouldn't believe the kudos you get from this. This is the true techie phone, the flick slide gets nerds rubber necking all over the gaff. When I show them WAP google via its 14400 isdn link they start stuttering and look down at their iphones in shame. lol. Franco, 20 Aug 2009Very good phone, I still use it and bought it back 8 times. :-Dthat's good to know. i thought i was the freaky one, bought the same 7110 for 5 times. i still use it until now. Total of 303 user reviews and opinions for Nokia 7110.